On the International Day to End Impunity for Crimes against Journalists, Council on International Relations – Palestine (CIR) said that the Israeli occupation continues to violate the press and commit crimes against it. The Council noted that since 2000, 48 Palestinian and foreign journalists of various nationalities have been shot and killed by the Israeli occupation forces. According the Palestinian Journalists syndicate, two journalists who were killed in Gaza this year while covering the Great Return Marches, 252 were shot and teargased in the West Bank and Gaza, and dozens are arrested in the Israeli jails. The council said in a statement issued on Friday that the Israeli occupation had not been condemned for its violations against media workers, the thing that causes concern. 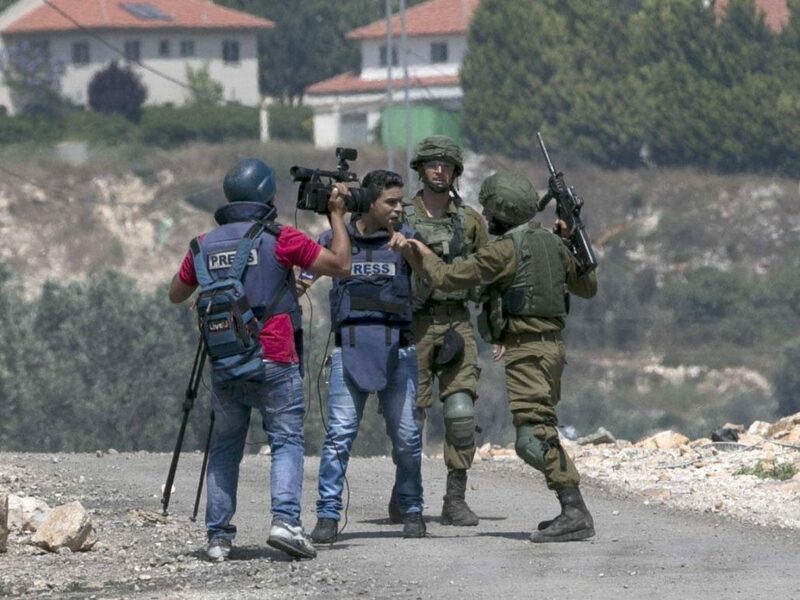 The impunity of the occupation encourages it to commit further crimes against journalists to silence them and prevent them from documenting its crimes. On this occasion, the Council called on all international institutions to expose the crimes of the occupation against Palestinian journalists and to hold criminals accountable and bring them to justice. On November 2 each year, the world salutes the International Day to End Impunity for Crimes against Journalists in recognition of the long-term consequences of impunity, particularly crimes against journalists.